Haggling. The mere word brings dread to the heart of many; leaves limbs quaking, lips quivering. While the art of haggling is not something many are ardent about (though it is not without its satisfying elements and fond fans), it is a useful and necessary skill when travelling for any extended period of time. Haggling in essence, of course, is negotiating – something we all do in various different ways throughout our every days. It can be quite amicable at times. At others, you can find yourself walking away from an encounter in a bewildering mix of anger and shame – and it is this type of haggling that this article aims to enlighten and inform on. Some people actively seek out and enjoy haggling; others can think of little more daunting. Whether you view it as a game or a chore, it is likely something you will encounter during your travels and an activity you will have to take part in lest you want to be continuously ripped off. 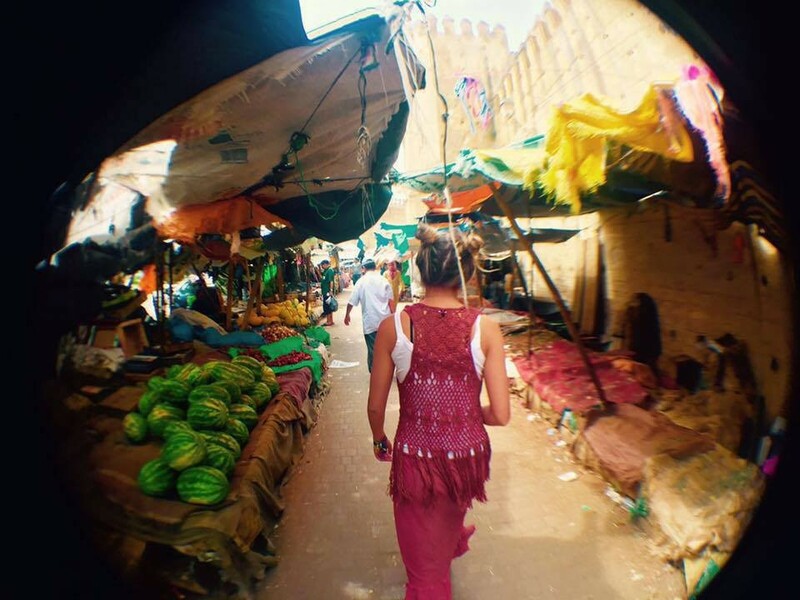 The standards and techniques do vary from place to place, with Morocco ranking up there with some of the most combative and intense haggling tactics. But, with a few general tricks up your sleeves, you can enter these dialogues, if not with an upper hand, at least on an equal footing. If you don’t want something, don’t buy it! Perhaps that seems patent, but the persuasive powers of some sellers are remarkable. Any number of techniques can be utilised, including guilt and aggression, and in these moments it is important to remember you can walk away at any time. Note: firm does not mean aggressive. Always remain polite in interactions, but stand your ground when you need to. One of the most important haggling rules: don’t accept the first price that is offered to you. Most of the time in these interactions, the first price you are offered is at least double, if not more, than what the item is worth. A good rule to follow is to half the price. You will invariably have to go up as the interaction continues, but with this as a starting point, you should both be able to reach a price you are happy with. That is not to say there should be no leeway in negotiations. Often, you will be paying slightly more than the actual value of the item, but if it’s a mere pound or two to you, this shouldn’t be enough to get you annoyed or walking away. Don’t be the tourist arguing over a pound! Perhaps the oldest and simplest trick in the book. If you are not getting the price you believe the item is worth, or you are unsure, walk away! While not guaranteed success, much of the time you will be followed by the salesperson and given one last offer. They are familiar with the game and will have a last price they are willing to sell for. The most vulnerable times as a traveller are the ones where you just don’t know what things are worth. Stepping out of the airport with foreign currency in your purse and little knowledge of the exchange rate is a recipe for travel disaster. This is easily resolved by some pre-holiday homework. Work out what the foreign currency is worth in your currency, and enter dialogues with the confidence that you will know when you are being charged too much. This is particularly important when getting taxis, as many taxi drivers refuse to put the meter on. By working out the rough distance and the exchange rate you will be better equipped to judge their rates. Before you enter negotiations, work out the maximum price you are prepared to pay for the item. If you enter a discussion about an item not knowing what you are actually willing to pay, you are far more likely to end up either not getting the deal you want or purchasing it for a higher price than you were actually happy paying. Begin with a target price. Aim for a great bargain, but know what you would also be willing to accept as a maximum. Haggling is not akin to war. Nor does it need to be made so. Keep your wits about you and your humour close at all times! If you enter the negotiation with a warm disposition and a smile, it is likely the salesperson will respond alike. Don’t take haggling too seriously. Infact, try to have some fun with it. You are much more likely to reach an agreement that both parties are satisfied with this way. Haggling does not need to be an activity that fills you with dread. With a little foresight and know-how – and a friendly demeanor – it can become a part of your trip that you actively enjoy. Know when to walk away, but perhaps more importantly, when to relent – perspective is important in appreciating when it is only a pound to you, but the trader’s livelihood and a real difference to their day.